Hi, I’m Julia a South Jersey girl who enjoys wine, travel, Disney and the sometimes humorous but always heartfelt side of motherhood. 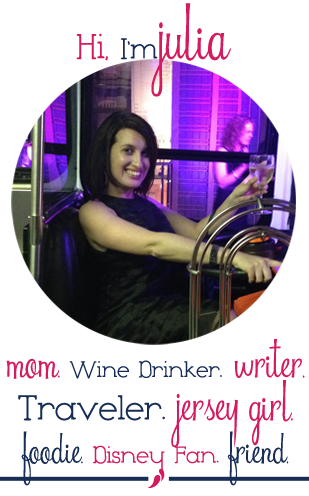 I started Wine In Mom in February of 2011, 6 weeks after I had my son Jackson. Wine In Mom started as a place for me to share my experiences as a new mom. My goal has always been to share my life in a relatable and honest way. My blog community inspired me to become more active in my local community, I am president of my local MOMS Club. 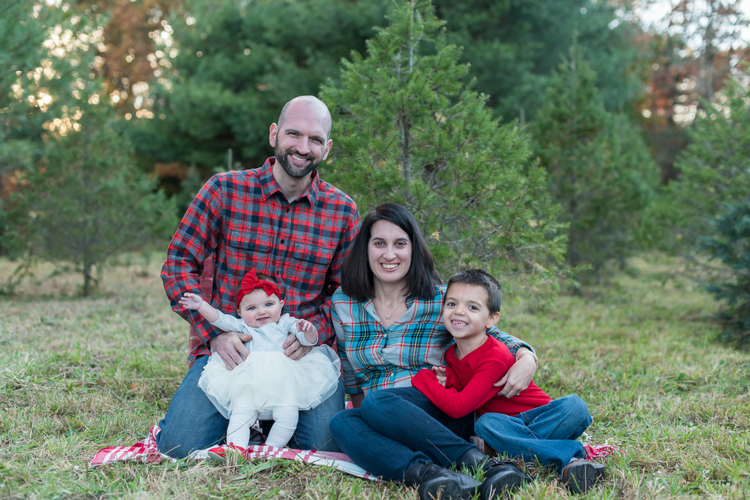 My family, my husband John, son Jackson (6) and daughter Grace (1) live in southern New Jersey, about an hour from Philadelphia. We love life at the Jersey shore and enjoy all the beaches and boardwalks. My husband and I love exploring local wineries and breweries as “day dates”. I have been chronicling our drinking adventures over on Jersey Girls Drink. I have been traveling to Disney World since I was 5 years old. When Jackson turned 2 we started taking him 1-2 times a year. It is an understatement to say we are a Disney loving family. Though John will admit he is always happy to expand our travel horizons. We enjoy day trips to Philadelphia, cruises and most recently we visited Aruba. I have been writing since I was in second grade and wrote a short story in the back of my parents car on a long car ride. I have a literature degree from Stockton University. Growing up I always wanted to be a writer. Blogging has given me the writing career I’ve always wanted. My writing has been featured on Jersey Family Fun and Scary Mommy.